Since the liability shift in 2015, a lot of merchants have been trying their best to migrate to EMV. One of the major roadblocks in this process has been the certification of their system. In 2016, many merchants had new payment acceptance devices installed in their businesses, but they were not yet able to accept chip cards. This is because they were still waiting on EMV certifications. Card brands became aware of the difficulties U.S. merchants were facing and stepped up to address the situation. In June 2016, Visa, MasterCard and American Express announced their efforts to streamline the certification process, which would make it easier for merchants to migrate to EMV. In addition, Visa and American Express implemented chargeback limits to provide temporary relief to some impacted businesses. Based on their historical data, many merchants hadn’t anticipated the impact of the liability shift on their business, particularly when it came to fraud from counterfeit and lost or stolen cards. Following the shift, some were surprised to see an increase in their fraud volume, which led to a misconception about EMV where merchants believed that payment card issuers implemented a code which programmatically found EMV card transactions processed by merchants who do not support chip cards and triggered automatic chargebacks. I addressed the myth in one of my previous blog posts. To provide relief, both Visa and American Express didn’t hold merchants liable for any counterfeit fraud chargebacks under $25 and limited the number of chargebacks to 10 transactions per card account. What this means is that they won’t be responsible for any counterfeit transactions under $25 until the regulation expires in April 2018, which gives merchants enough breathing room to make sure they are ready for EMV. In June 2016, MasterCard announced new programs for EMV terminal testing and certification. These programs were aimed at speeding chip adoption by U.S. merchants. According to MasterCard, the new program empowers acquirers and VARs to simplify in-store terminal activation while maintaining terminal testing and certification quality. In addition to these changes, the four major US card brands announced in December 2016 that they are moving the automated fuel dispenser (AFD) EMV activation deadline from October 2017 to October 2020. Given the market realities, the challenges merchants are facing with current EMV migration and the extreme complexity of payments at the pump, the card brands saw fit to move the deadline and provide more time to the merchant. Credit card fraud is not going away anytime soon, and EMV is just the first step to combating it. The card brands have created these EMV migration deadlines with the intention of motivating merchants to follow the latest and most secure payment standard. The original deadlines have been modified to provide merchants with more time so they can securely accept chip cards and protect their business from counterfeit card fraud. With big merchants already prepared for EMV, fraudsters are now targeting smaller merchants who might not be ready with the technology. This is one of the reasons why accepting EMV is critical for merchants of all sizes. 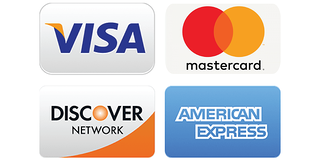 Even a small number of chargebacks can harm the financial health of a business. 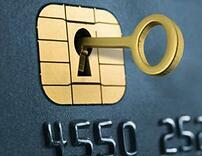 By implementing EMV, you can avoid these chargebacks and save on future fraud costs. 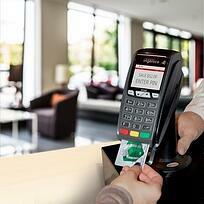 Merchants of all sizes should take the opportunity to implement EMV as soon as possible. If you don’t know where to start, we can help! If you have more questions on the chargebacks, fraud or EMV migration, please submit them in the comments section or on our Ask an Expert page.